John Zappas is a Los Angeles-based artist with a particular interest in collective authorship. 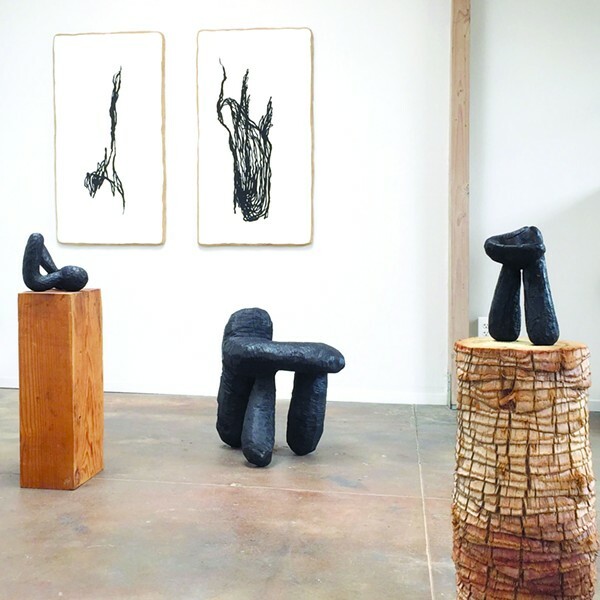 His spindly stick drawings and clunky sculptures, which “sit in the fuzzy terrain between Ikea, your favorite rock, and a Shaker chair,” encourage tactile interaction — and are currently on display at Interface Gallery (486 49th St., Oakland). As an experiment in fluidity and participatory art, nineteen drawings sit in the gallery with only seven spaces on the wall. The drawings, which are meant to serve as records of discrete bodily impulse, can be rearranged by visitors in an act meant to contribute their own impulsivity to the pieces. The show, intricately crafted both in its physicality and its performative nature, will run through September 11.